Adam Billings submitted this photo and caption. This is a photo of Dutch Boy marching through Uptown Waterloo, Ontario during the city's 40th Annual Oktoberfest Thanksgiving Day Parade. 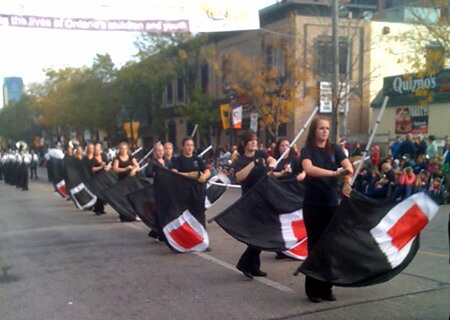 This parade was viewed in person by thousands and nationally televised across Canada. Dutch Boy was the only Open Class drum corps to perform in this parade.